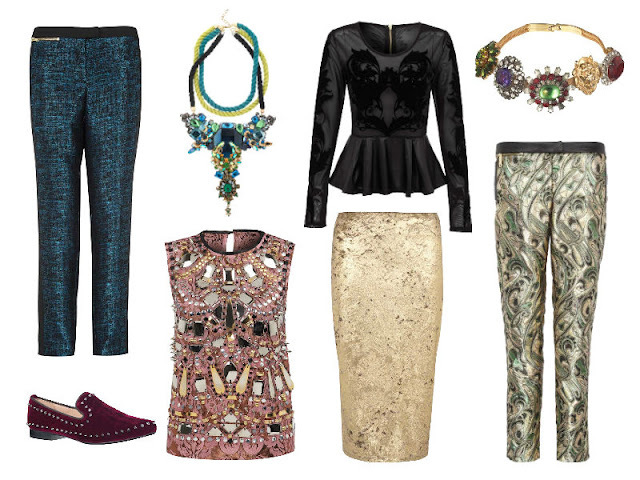 Next season's opulent 'Baroque and Roll' trend is a key theme in the River Island AW12 campaign. Heavy embelishment, glossy gilded brocade and colourful jewelled accessories give a luxurious feel to the high street brand's new season collection. As seen on the Dolce & Gabbana, Versace and Lanvin catwalks (to name but a few) baroque influences that hark back to the 17th century courts of Europe are a mass-market trend for fall. I'm currently coveting River Island's heavily embellished dusty pink shell top that has been given a modern edge styled with a white shirt and gold brocade skirt in the campaign. 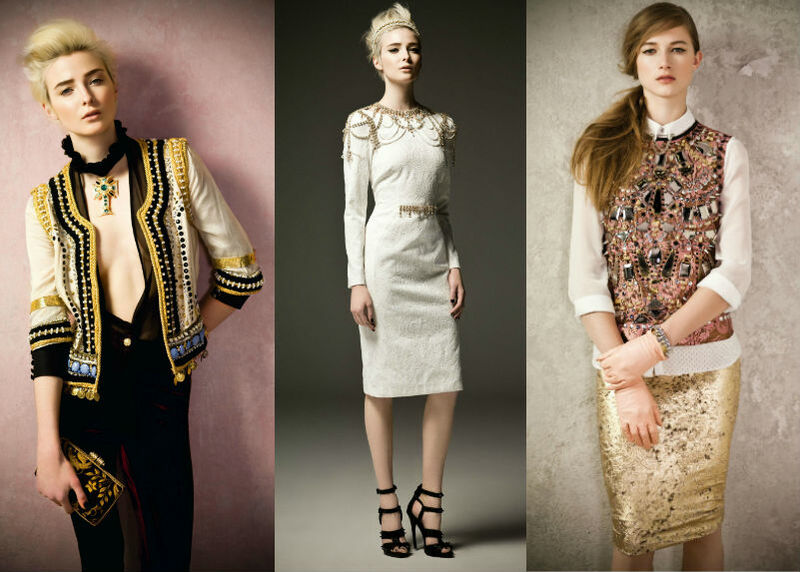 Question is, will you be embracing the Baroque and Roll trend come next season? Browse the full collection on Look.co.uk / shop River Island online. Loveeeeeee this, especially the one in the second picture. The shoulder-chain-draping thing going on is gorgeous and her hair...I could never pull it off but she does it so well, I'm envious! So obsessed with that white dress! !